Google announced the 2014 annual global popular search rankings, from the perspective of the data presented in 2014 for everyone that people are most concerned about the hot events and social trends. This year's list brings together popular characters and events in 72 countries and regions worldwide, and is made in the 2014 worldwide more than 2 trillion based search collection. In 2014 the world's top-ranked popular search rankings is a famous American film actor, a number of Academy Award winner: Robin Williams. 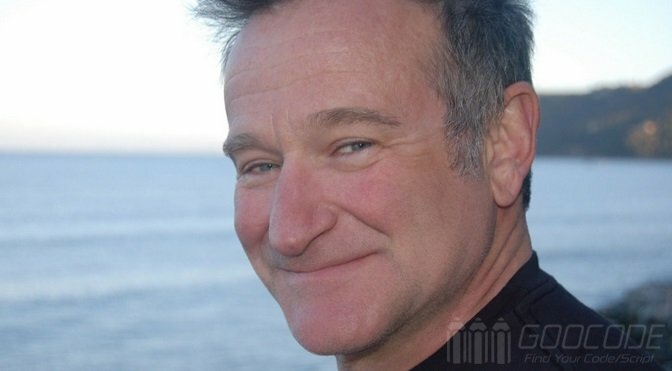 He was there in "Dead Poets Society," "Good Will Hunting" and many other classic films over the wonderful performance, loved by fans around the world, and its sudden death of news for all to marvel at. Many people are searching the Internet for information about him, hoping to remember the genius - it all made him popular search ranking highest in the world the first one. Ranked second in the list, is a very appealing sports - World Cup in Brazil. World Cup had too many memorable scenes. In the summer, many people or in front of television, or holding the phone, because do not want to miss a moment. This is a sports feast global sports enthusiasts, indeed live up to the biggest football event in the name. In the continuous development and evolution of human society today, people for the disease and disaster concerns are also increasing. Whether it is a terrible Ebola virus, for amyotrophic lateral sclerosis (ALS) charity donations "ice bucket challenge", or Malaysia Airlines crash have appeared on this year's list. In addition, mobile game "Flappy Bird" is also very popular. Simple game task quite difficult level design make this casual game swept the world overnight, leaving the Asian game developers into the spotlight. The following is the 2014 Global Top search rankings, and please click here to see all hot search rankings in 2014. Most of the people want to see the headings and news of the events that will be going to held in the society. If you're the person who is seeking the news regarding this then you can consult with the essayshark in order to get the proper information about any festival and program. Google announced good news here for us and this announcement is presented goodly here in this site essay writing tips post. Google new features are good in use and helpful for all of us.